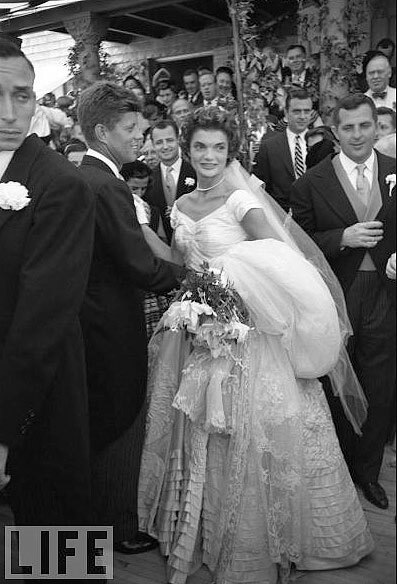 LIFE magazine has offered a rare glimpse into the life of former First Lady Jacqueline Lee Bouvier Kennedy Onassis, known as Jackie O -- including a snapshot of her wedding to then Senator John F. Kennedy. The journalist beauty married JFK on September 12, 1953. Jackie died at age 64 in 1994 of non-Hodgkin's lymphoma.